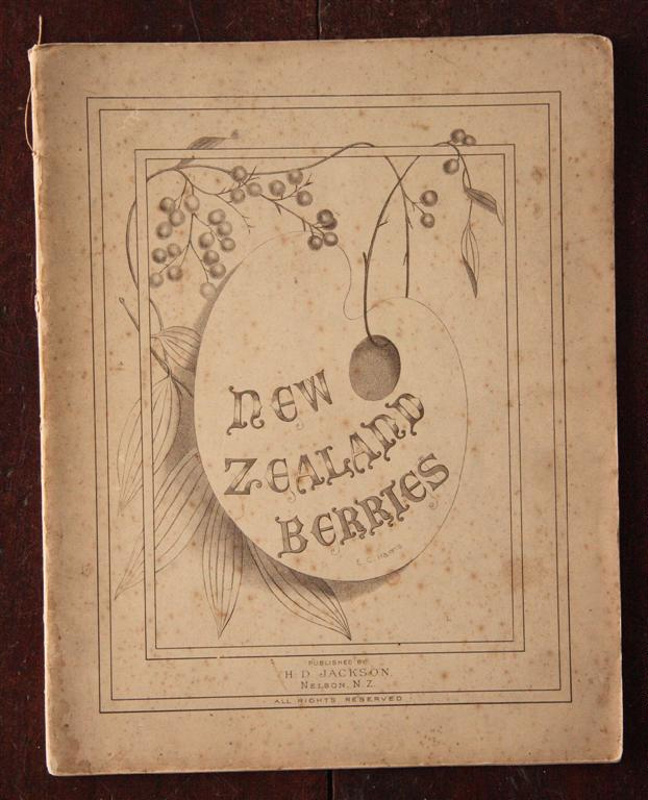 Book; entitled 'New Zealand Berries' by E C Harris [Emily Harris]. 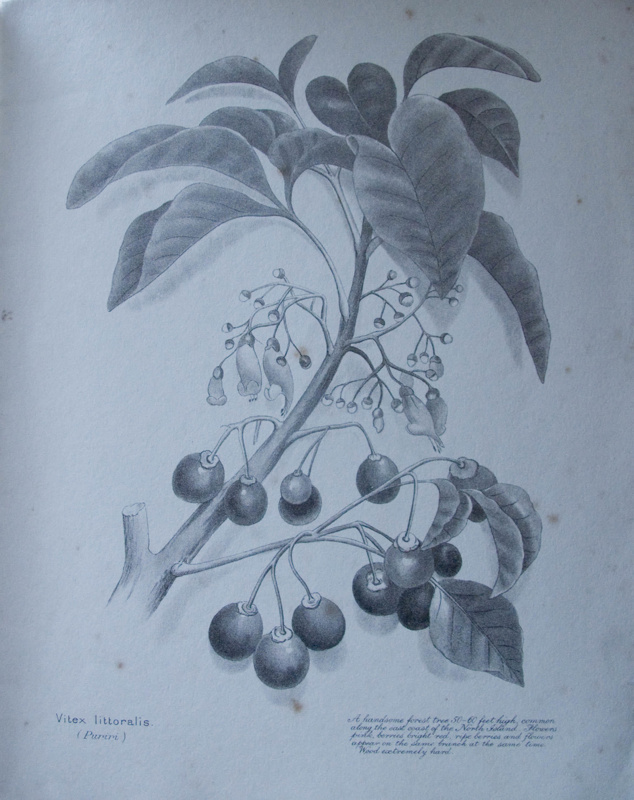 A soft-covered booklet which contains fourteen pages of black and white illustrations of New Zealand native berries, with Latin taxonomic names and descriptions. Published by H D Jackson in Nelson, circa 1890.